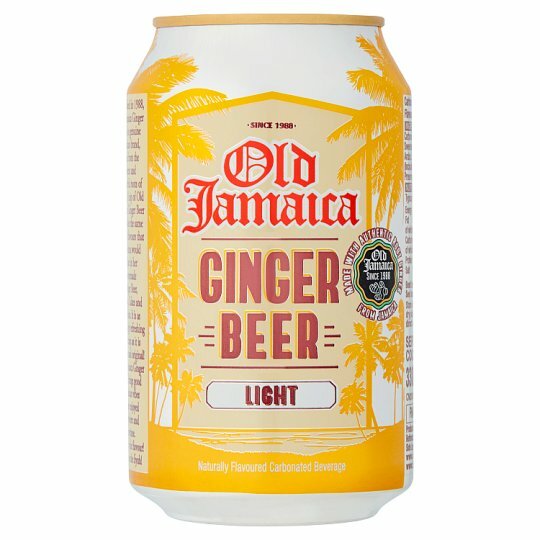 Established in 1988, Old Jamaica Ginger Beer is a genuine Jamaican brand, made from the potent and flavourful roots of ginger. A sip of Old Jamaica Ginger Beer embodies the same natural flavours that Grandma would infuse in her homemade Ginger Beer, Drops, Cakes and Cookies. It is as amazingly refreshing and crisp as it is unique and original! Old Jamaica Ginger Beer brings good Jamaican vibes when enjoyed anywhere and anytime. Tun up the flavour! Tun up the fiyah! Store in a cool, dry place out of direct sunlight., Best before end: See base of can.